Once upon a time playing for the New York Knicks meant something. In the time since Patrick Ewing held down the block the team has fallen into disrepair. Don’t blame Iman Shumpert though. Shumpert is one of the best wing defenders in the NBA as well as one of the few first round draft picks that has paid of for the Knicks. Shump gets it done off of the court as well. Teyana Taylor is his chick and she stands on her own as one of the baddest NBA WAGs in the league. Taylor is a singer songwriter from New York that has been in the hip hop game since 2007. She may have beef with girls like pop stars like Rihanna but that tells more about her level than her problems. Taylor has put in work with famous acts like Kanye West, Pharrell, Chris Brown, and John Legend. So while Iman Shumpert has struggled with injuries of late, we’re sure that he has been putting his extra free time to good use. There are NBA WAGs and then there are true NBA WAGs and Kendra Shaw definitely fits into the latter category. Shaw first start blowing up on the internet back at the 2014 NBA draft when Julius Randle, her main man, was selected 7th overall by the Los Angeles Lakers. When the cameras went to Randle alle yes stayed on the beautiful blonde model. Since then she has become one of hte most searched models on Google for, we can only assume, scientific reasons. Randle hasn’t been enjoying his first year. The rookie power forward broke his leg halfway through the first game of the season. Randle will be out for year and will have to wait until 2015 to try and make a difference in L.A. In the meantime we are sure that he and Shaw will be just fine. Lottery picks have a tendency to enjoy their first years in the NBA. Stephen Curry is the best point guard in the NBA on the best team in the league, full stop. At the age of 26 Curry has overcome the injury prone label to become a potential MVP, the face of a franchise, and the hands up best guard since vintage Chris Paul. Curry has the silkiest jumper in the league but he also knows how to dish. On his way to dishing, Curry definitely picked up a dime when he married Ayesha Curry. Ayesha Alexander met Stephen Curry at a Youth Group back in Charlotte, if you can believe it. The two kept in contact throughout their early careers as Stephen hit the NBA and Ayesha moved to Los Angeles to become an actress. Before long the two were married. Ayesha can be seen on television in shows such as ‘Whitaker’ and ‘Hannah Montana’. Now Ayesha is finishing up a business degree with plans to expand the Curry empire outside of the NBA and acting business. With their pedigree, both as individuals and as a couple, we’re sure they’ll be alright. 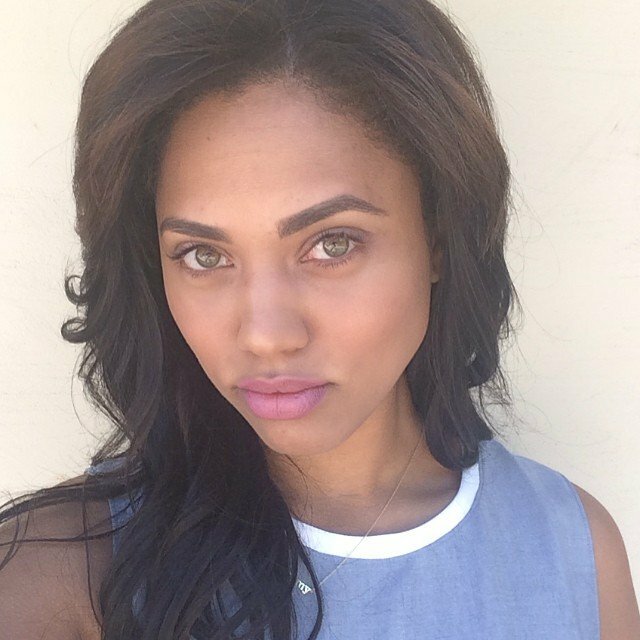 Ayesha is the ultimate NBA WAG. If you have a jumpshot good enough to make it into the NBA it almost doesn’t matter if you ever get off the bench. Jimmer Fredette has three years of NBA action under his belt after being picked 10th overall by the Milwaukee Bucks. Since his selection Fredette has bounced around four different teams. His shooting skills in college haven’t translated and he is currently stuck at the end of the Pelicans bench. Despite his lukewarm NBA career, Fredette’s off the court game has been on point. Jimmer and Whitney Fredette have been married for a few years now and they are one of the few Mormon couples in pop culture, much less the NBA. The two seem to put a lot of stock into their faith, even being married in the LDS Temple. Whitney is one of the few WAGs on our list that prefers to look good from a distance. She doesn’t do much press, maintains a low social networking spotlight, and has even turned down doing the popular Basketball Wives television show. JJ Redick looks like a guy that should still be partying with his frat back at Duke. Instead the 30 year old shooting guard is in the eighth season of his career and his second with the Los Angeles Clippers. After a run of success with the Magic, Redick has become the wet and steady jump shooter the Clippers always needed. He’s a beefed up version of Jimmer Fredette and a capable leader on the court. His wife, Chelsea Kilgore Redick, could land anywhere on our list and be one of the hottest NBA WAGs of all time. The blond babe has been a huge part of her husbands career since he joined the NBA. She calls herself an amateur chef, wannabe runner, and lover of music. Chelsea is also one half of a set of identical twins and a Pilates instructor. If you can’t tell, Chelsea works hard for the body that she rocks in all of the Redick family photos. Thabo Sefalosha is the type of player that you need on a championship contender. The problem is, guys like him are hard to find. Despite not having a complete skillset, Thabo brings to the table the kind of defensive intensity that can change a playoff game. Sefalosha has enjoyed some great seasons with the Thunder and that success has followed him from his personal life. The current Hawk guard has been with his gorgeous NBA WAG for the past 9 years. Her name is Bertille Sefalosha and she is one of the most unique player’s girls on the list. Bertille and Thabo met in France when Thabo was playing with an ‘under 20’ team and Bertille was taking classes at the Chalon sur Saone. Apparently their first meeting involved Bertille doing Thabo’s cornrows. They now have three children together. Love works in mysterious ways, we guess. Even with the years passing by, Bertille is still one of the hottest women on our list. She’s got a Masters degree in International Relations and she is a workforce in the charity game.